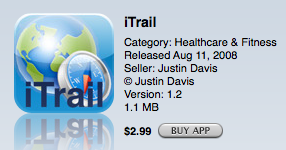 For all of you with an iPhone 3G who want track your movements here is the App for you: iTrail. 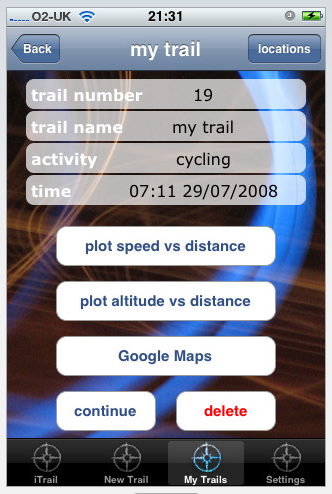 I know nothing about this application but it seems to mimic SportsTracker for Nokia phones with built-in GPS. The support page for the app can be found here. Apparently, you can also export your tracks to Google Earth.